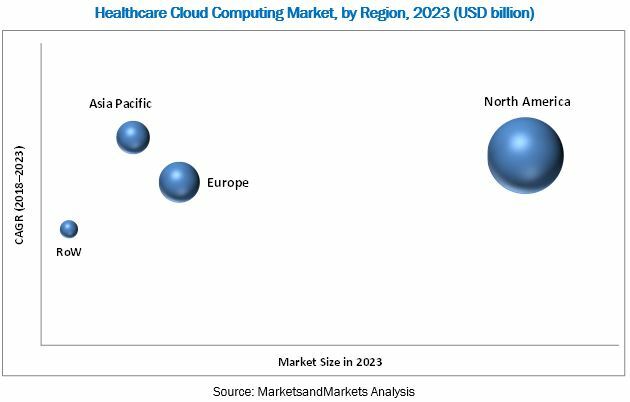 [181 Pages Report] The global healthcare cloud computing market is projected to reach USD 44.93 billion by 2023 from USD 16.77 billion in 2017, at a CAGR of 18.2%. Base year considered for the report is 2017 and the forecast period considered for this report is 2018–2023. Healthcare providers generate and collect a large amount of data from a vast array of internal sources, such as electronic health records (EHRs), radiology images, pharmacy sales, prescription information, lab tests, and insurance claims data. The volume of this digital data is growing exponentially every year majorly due to the changes in the payer environment, such as incentives for the meaningful use of EHRs and a shift towards value-based payments. Moreover, technological changes are also resulting in the generation of a larger volume of healthcare data. For instance, patients are increasingly employing mobile digital devices, including activity monitors and chronic disease monitoring products (such as blood glucose trackers for diabetes). Similarly, the growing use of Internet of Things (IoT) applications is further increasing the data-storage and data-analytics needs of healthcare providers. Hospitals are realizing the benefits of storing data off-site as it saves space (which can be utilized for accommodating more patients). Moreover, this approach does not require hospitals to maintain an in-house IT staff since the maintenance of data is generally outsourced to hosting vendors. Through cloud computing, healthcare organizations can almost instantaneously scale up or scale down their IT infrastructure (which includes processing power, storage, networking, and the number of users) and adjust it with consumption. This avoids costly upgrades, reduces waiting times, and eliminates capacity constraints. Owing to this on-demand scalability, healthcare organizations do not need to plan for future IT infrastructure needs. As a result of these functionalities, the demand for cloud computing is increasing among healthcare organizations. Some of the players in the global healthcare cloud computing market include CareCloud Corporation (US), ClearData Networks Inc. (US), Athenahealth (US), Cerner Corporation (US), Epic Systems Corporation (US), NextGen Healthcare (US), Carestream Corporation (Canada), Dell Inc. (US), DICOM Grid Inc. (US), INFINITT Healthcare (South Korea), Sectra AB (Sweden), Merge Healthcare Inc. (US), Siemens Healthineers (Germany), iTelagen Inc. (US), NTT DATA Corporation (Japan), Nuance Communications (US), and Ambra Health (US). Premier Inc. (US) awarded a three-year group purchasing agreement to Carestream Health (US) for Enterprise Image Management Solutions. This agreement will allow Premier members to take advantage of Carestream’s Clinical Collaboration Platform featuring enterprise image management, vendor-neutral archiving, and Vue Motion enterprise viewer at special pricing and pre-negotiated terms. (such as improved storage, flexibility, and scalability of data); implementation of healthcare reforms such as the Patient Protection and Affordable Care Act; and the dynamic nature of health benefit plan designs. The global healthcare cloud computing market is segmented by application, deployment model, pricing model, service model, component, end user, and region. Based on application, the market is segmented into clinical information systems and nonclinical information systems. The clinical information systems segment is expected to grow at the highest CAGR during the forecast period. The high growth in the clinical information systems market can be primarily attributed to the growing prevalence of chronic diseases and rising geriatric population resulting in increased clinical information to be stored. Based on type, the clinical information systems segment is further segmented into EMR, PACS, VNA, and image sharing solutions, PHM, telehealth, LIMS, PIS, RIS, and other CIS. 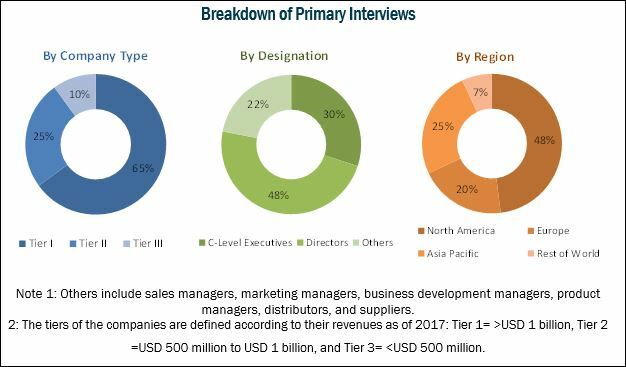 The nonclinical information systems market is categorized into RCM, billing and accounts management, financial management, HIE, fraud management, supply chain management, and other NCIS. Based on deployment model, the healthcare cloud computing market is categorized into private cloud, hybrid cloud, and public cloud models. The hybrid cloud is expected to register the highest CAGR during the forecast period. This can primarily be attributed to the growing demand for hybrid cloud solutions as they offer advantages of public as well as private clouds. Based on pricing model, the healthcare cloud computing market is categorized into pay-as-you-go and spot pricing. The pay-as-you-go segment is expected to register the highest CAGR during the forecast period. This can be attributed to the fact that the pay-as-you-go model allows healthcare providers to use the latest software solutions while keeping operating costs at a minimum. Based on service model, the healthcare cloud computing market is categorized into software-as-a-service, infrastructure-as-a-service, and platform-as-a-service. The infrastructure-as-a-service segment is expected to register the highest CAGR during the forecast period. This can be attributed to the fact that the this model simplifies application development and deployment on the cloud. Based on end user, the global healthcare cloud computing market is categorized into healthcare providers and healthcare payers. The healthcare providers segment is expected to register the highest CAGR during the forecast period. This can primarily be attributed to the increasing adoption of cloud computing by healthcare providers owing to its advantages such as improved storage, flexibility, and scalability of data. Geographic segments in this report include North America, Europe, Asia Pacific, and the RoW. North America is expected to account for the largest share of the market in 2018. The large share of this region can primarily be attributed to the increasing adoption of EHRs among medical professionals and active participation by private sector players in the development of the healthcare industry in that region. Some of the players in healthcare cloud computing market include CareCloud Corporation (US), ClearData Networks Inc. (US), Athenahealth (US), Cerner Corporation (US), Epic Systems Corporation (US), NextGen Healthcare (US), Carestream Corporation (Canada), Dell Inc. (US), DICOM Grid Inc. (US), INFINITT Healthcare (South Korea), Sectra AB (Sweden), Merge Healthcare Inc. (US), Siemens Healthineers (Germany), iTelagen Inc. (US), NTT DATA Corporation (Japan), Nuance Communications (US), and Ambra Health (US). Figure 44 Company Snapshot: Quality Systems, Inc.